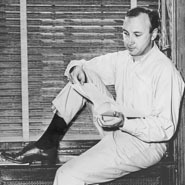 Much of Neil Simon's inspiration as a playwright and screenwriter came from growing up in the Bronx among working-class people. By the 1960s, Simon was writing successful Broadway plays, including Come Blow Your Horn (1963) and Barefoot in the Park (1967). Simon's older brother, Danny, was the inspiration for one of the characters in his most popular play, The Odd Couple (1968), which became a long-running television series. Simon is primarily a comic writer, but some of his plays, particularly the Eugene Trilogy (1983-1987) and The Sunshine Boys (1972), reflect on the twentieth-century American Jewish experience. One of the most performed playwrights in the world, Simon has had more Academy Award and Tony nominations than any other playwright.